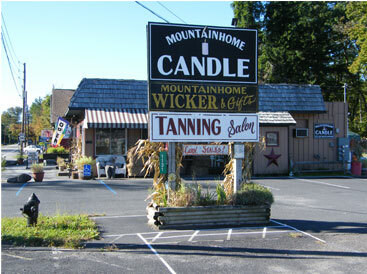 Mountainhome Candle is a family owned and operated Candle Shop & manufacturing Company situated in the beautiful Pocono Mountains of Northeast Pennsylvania.We have been in business for over 25 years and we are committed to producing the highest quality, most fragrant candles at an affordable price. All of our candles are Hand Poured, Double Scented and have Double Wicks for the maximum release of fragrance. Our candles burn clean from top to bottom so you will experience NO Waste. 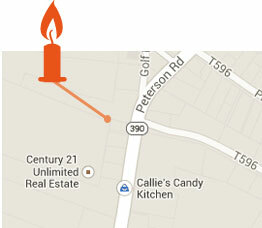 We have several size jar candles to choose from depending on your needs. We offer Wholesale Opportunities as well as Fundraising for sports, schools, clubs and special interest groups. Just contact us @ 570-595-3014 and we will have your account set up in less than 10 minutes. Once again thanks to everyone who continues to support and believe in us! Please feel free to call our store and we will answer any questions you may have.